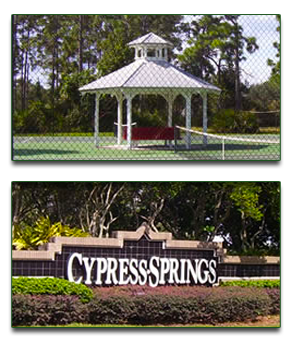 Welcome to the official web site of the Cypress Springs Owners Association, Inc. The Owners Association represents over 764 property owners in the western portion of the Cypress Springs community off Dean Road in East Orange County. We welcome your input, as we continue to make this site more interactive, more informative, and more user-friendly. We hope you will log on frequently to find the latest information about what's going on in the community, and will contribute your time and efforts as much as possible to help us all enjoy our neighborhood.